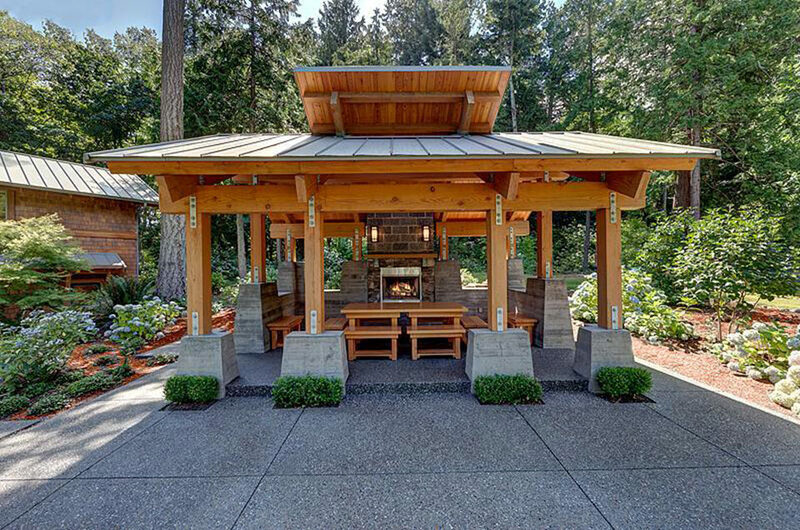 This outdoor pavilion was designed and built with Douglas fir timber thinned from the adjacent forest. 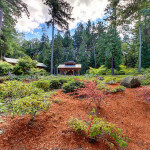 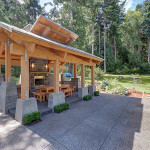 The pavilion opens to a meadow and provides an outdoor gathering spot to enjoy all four Northwest seasons. 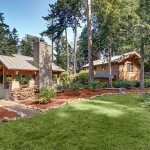 The design includes board-formed concrete, clear finished fir, galvanized steel connectors, and standing seam steel roofing. 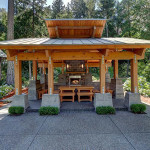 Site-built, custom fir furniture and a wood-burning fireplace complete the outdoor experience.